These instructions are used for adding a Vicbar email account (Exchange) to Outlook 2010 for the Windows operating system. It assumes Outlook is already installed on the system. 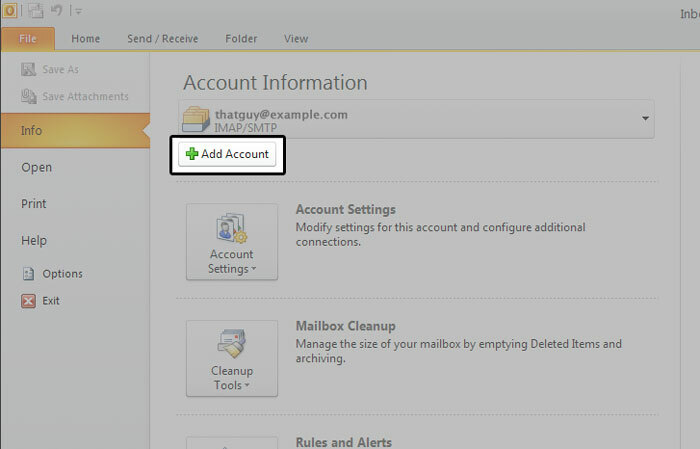 If this is the first time running Outlook you will be presented with the add account wizard, if so click 'Next' and skip to step 3 otherwise continue to step 2. Outlook will now attempt to connect, If you are prompted for your password enter it again.